Septic tanks use special concrete drainage tanks, buried underground in your home's yard, to let waste products from the home decompose naturally. These tanks require a delicate balance of bacteria and enzymes to quickly break down waste, and some home cleaning products and detergents can disturb this balance. Using the right chemicals can prevent expensive tank maintenance and serious health problems. 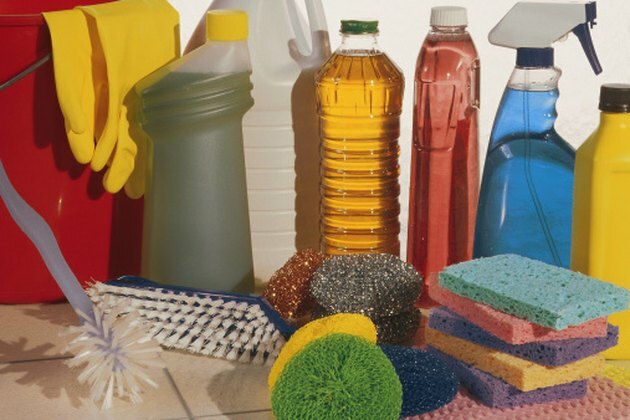 Drain cleaning and clearing products often contain harsh degreasing agents and other toxic chemicals. These unclogging products can damage your septic tank drain fields by disturbing decomposing grease in the tank. They also can loosen accumulated material on the inside of plumbing pipes and create a clog in the septic system. Natural drain unclogging products include those that use vinegar and baking soda, according to the Kent County, Delaware, Department of Public Works. Pouring a half-cup of baking soda and a cup of vinegar into your clogged drain also can remove the clog through the foaming process of the two safe household materials. Powder laundry detergents, even those that claim they are safe for use in septic systems, can create serious clogs in your tank, according to Laundry Alternative. Powders contain granulated plastic and other materials that don't break down fully during the laundry process. When these materials enter your drain pipes and septic tank, they settle or stick to the sides and build up over time. Eventually you have a clog that requires professional removal. Liquid laundry detergents dissolve completely, and many are available with nontoxic and natural ingredients that do not disturb the enzyme balance of the septic field. Phosphates are a common surfactant used in all types of detergents, including dishwashing liquids. 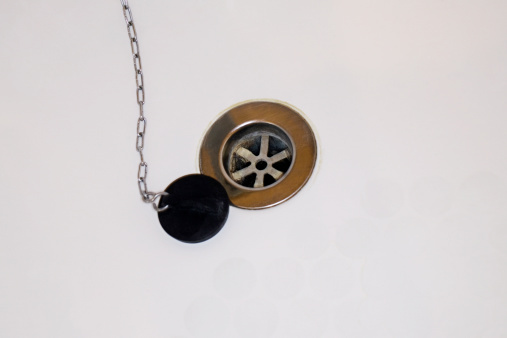 Flushing high amounts of phosphates into your septic tank can kill bacteria and enzymes used in the waste decomposition process, according to Inspectapedia. Surfactants pollute water and kill fish and other wildlife, and some forms like phosphates can stay intact until they reach an open body of water. Phosphates also cause dangerous algae blooms. Dishwashing detergents rarely disclose exactly how much phosphate is in the product, so choosing a detergent that is completely free of phosphates is the best choice. Overuse of antibacterial sprays and hand cleaners can disturb your septic tank's performance, according to the Arizona Cooperative Extension. Products containing bleach are also problematic. Toilet bowl cleaners, sink or bathtub sprays and hand soaps all contribute to the destruction of beneficial bacteria in the septic tank. Limit the use of antibacterial and bleach-based cleaners to keep your septic tank healthy. What Are the Effects of Bleach on a Septic System? Can I Pour Rid-X Down the Bathtub Drain?